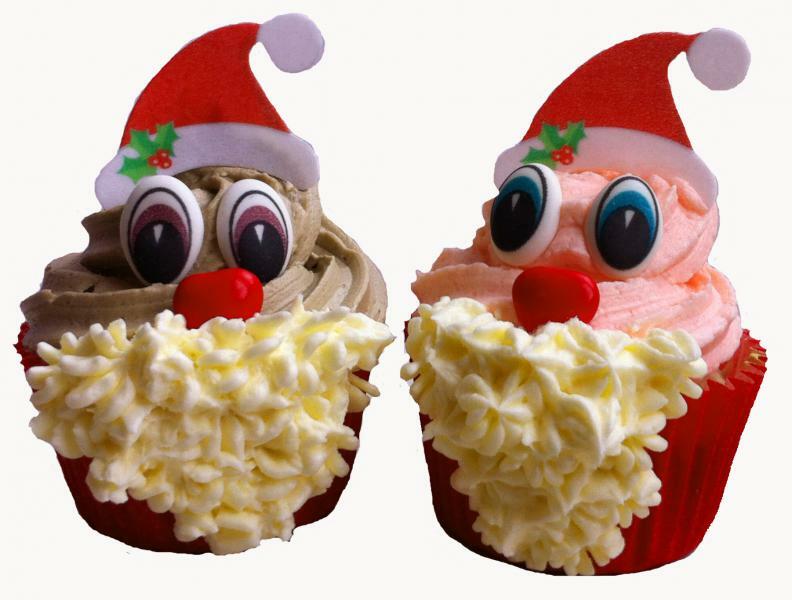 Set to create 6 fun Santa Christmas Cupcakes- including 6 pairs of eyes, 6 Santa hats and 6 red chocolate noses. 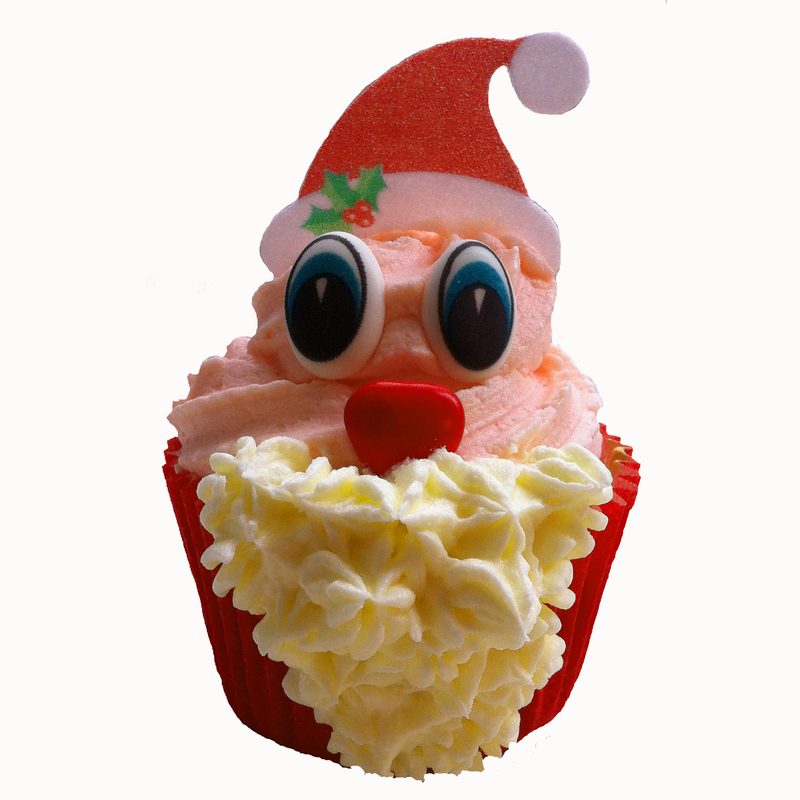 Make your cupcakes look like the Santa in the picture with just a little bit of effort. Pipe your buttercream 'face' onto the cupcake, position the eyes and nose then pick up your cake and carefully pipe a white buttercream beard onto the front of the cake using a very small star nozzle. Position the hat onto the top of the cake and ho ho ho- Santa's here!